Those innovative approaches, the regulators said, might range from building sophisticated financial intelligence units to embracing artificial intelligence for transaction monitoring. In their statement, the regulators said they deem such innovation a good thing, that can strengthen existing AML compliance processes. So as much as banks want to launch pilot programs and experiment, they should have at it. 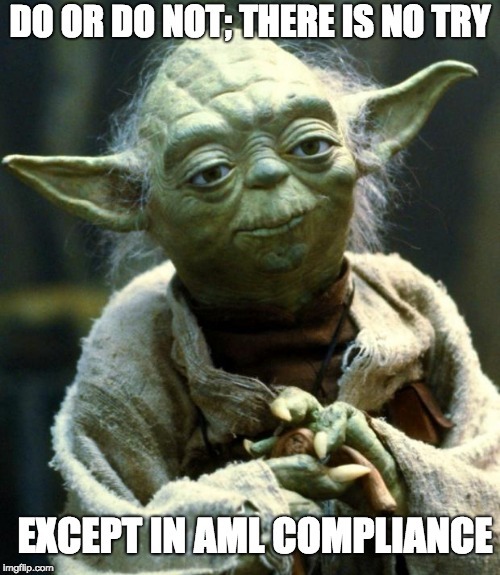 Even better: if those innovative programs expose gaps in your existing AML compliance program, that will not automatically lead banking regulators to impose some sort of supervisory sanction. The statement came from the Federal Reserve, the Federal Deposit Insurance Corp., the Financial Crimes Enforcement Network (FinCEN), the National Credit Union Administration, and the Office of the Comptroller of the Currency. It’s the second pronouncement banking regulators have made this fall to strike a more cooperative posture with banks laboring under fierce AML regulatory requirements. In October the group published a statement in favor of letting banks pool resources to manage AML compliance. The regulators also said they’re happy to talk with banks to discuss what those innovation pilot programs might be. “As banks pursue innovative change, early engagement can promote a better understanding of these approaches by the agencies, as well as provide a means to discuss expectations regarding compliance and risk management,” the statement said. FinCEN will even consider granting exemptions from some of its rules to allow testing of new technologies, provided the bank still maintains its existing AML compliance program while the pilot program is running. None of this should surprise compliance officers. The Treasury Department published a report over the summer that endorsed “regulatory sandboxes” to promote innovation in financial technology, and this news today is essentially the same message applied to regulatory technology. Moreover, AI and other new technologies that can improve compliance are racing forward anyway. Exactly how all that racing forward might evolve into industry-wide best practices, nobody is quite sure yet. Still, banking regulators can either ignore that reality, try to fight it, or work with banks to develop it. The first two choices are, over the long term, dumb. The third is what the regulators announced today. Two questions that do come to mind, however. Vullo’s office had no tart reply as of Monday afternoon, but we still have hours left to go. The whole point of today’s news is so that regulators and banks alike can develop stronger best practices in compliance that rely on the latest technology. So will banking regulators really not elevate their expectations in future years, as advances in regtech get better and more widely adopted? We’ll see. Meanwhile, compliance officers can prepare for a fresh onslaught of sales pitches from regtech vendors. There are some mighty good ideas out there, and now the feds will let you take those ideas onto the road and see what they can do.